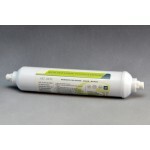 20" Standard Polypleated Filter Cartridge. 20µ. 20" Standard Polypleated Filter Cartridge. 20µ. 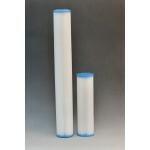 Large surface area Low D Washable (>10µ) Not reco..
20" Standard Polypleated Filter Cartridge. 50µ. 20" Standard Polypleated Filter Cartridge. 50µ. 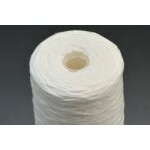 Large surface area Low D Washable (>10µ) Not reco..
20" Standard String Wound Poly Cartridge. 01µ. Low D. Up to 15 lpm* Cold water only Graded ore size ..
20" Standard String Wound Poly Cartridge. 20µ. Low D. Up to 15 lpm* Cold water only Graded ore size ..
20AH - 3/4" Twin filter - US Filter Range Housings are manufactured with food grade reinforced polyp..
20AH - 3/4" - US Filter Range Housings are manufactured with food grade reinforced polypropylene. Wi..
Automatic High Flow Carbon Filter. Flow rate: Upto 30lpm. Domestic, Commercial, and Rural High Flow ..
Automatic High Flow Carbon Filter. Flow rate: Upto 40lpm. Domestic, Commercial, and Rural High Flow ..
Automatic High Flow Carbon Filter. Flow rate: Domestic, Commercial, and Rural High Flow Carbon Filte..
Automatic Multi Media Sand Filter. Flow rate: Upto 40lpm. Sand filters are the oldest and most basic..
Automatic Multi Media Sand Filter. Flow rate: Upto 50 lpm. Sand filters are the oldest and most basi..
Automatic Multi Media Sand Filter. Flow rate: Upto 25lpm. Sand filters are the oldest and most basic.. The Ceramikx bacteria filter combines the performance of a ceramic filter and an activated carbon fi..
Deluxe Bench Top 30/1. 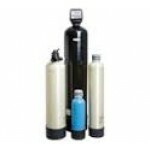 Slimline water purifiers are the ideal solution where high quality purif..
Standard Bench Top Filter. 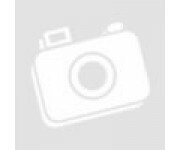 This portable bench top filter system is ideal for any situation whe.. 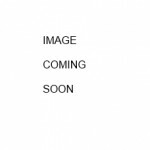 Carbon Inline Filters TP8Q5486 ..